PUBLISHING its final results for possibly the last time, Lonmin turned in a $1bn turnaround in operating profit for its 2018 financial year following restructuring and a one-fifth improvement in the basket of metals it mines, but insisted its proposed merger with Sibanye-Stillwater was the only way it could survive a volatile platinum price. 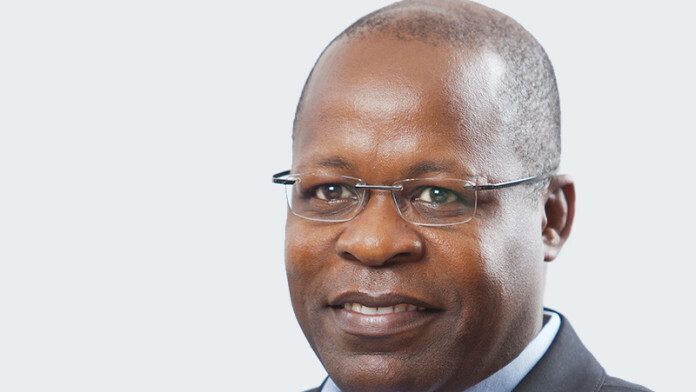 “We recognise that Lonmin would be better placed as part of a stronger, enlarged and diversified group,” said Ben Magara, CEO of Lonmin in notes to the firm’s full-year numbers that were published at around midday. He recommended the merger to Lonmin shareholders. They are expected to vote on the transaction in 2019 once the transaction circular has been delivered. Sibanye-Stillwater shareholders will also hold a vote on the deal. The transaction won the support of South Africa’s competition authorities earlier this month. Lonmin traces its roots back a century to 1909 when it was the London and Rhodesian Mining and Land Company (Lonrho). It only truly resembled the company of today when it fell under the thrall of the late Tiny Rowland. Rowland’s ejection from Lonrho in the Nineties paved the way for the creation of Lonmin in 1999. Lately, however, the company has struggled amid a faltering platinum price which dates back to 2015 at least when the Public Investment Corporation was forced to underwrite 25% of a $400m rights offer, which was the latest in a series of public capital raisings. The Marikana disaster of 2012, in which protesting miners were shot dead by security authorities, raised broader questions about the company’s ability to continue in its current form. The results today, in which share earnings for the year ended September 30 came in at 14.9 cents (2017: -352.7c/share), showed the benefits of job cuts at its so-called Generation One assets deemed too mature to mine in the long-term. Some 8,000 jobs have been identified for restructuring of which more than 2,000 have been released this year. The 2018 earnings number was on the back of 681,580 oz in sales against guidance of 650,000 to 680,000 oz and a contained unit cost increase of 5%, equal to R12,307 per platinum group metal (PGM) oz – within guided unit cost guidance of R12,000 to R12,500 per PGM ounce. Perhaps most importantly, Lonmin kept its head above water by taking its net cash position to $114m as of September 30 compared to $103m at the close of the previous financial year. “We have kept our commitments and delivered a strong performance across the business,” said Magara with specific reference to the cash position. Commenting on prospects for the current financial year, Magara said platinum sales would be between 640,000 and 670,000 oz as high cost production was cut. Unit costs would be in the range of R12,900 to R13,400 per PGM ounce and capital expenditure would be kept to a R1.4bn to R1.5bn range which excludes any external funding for the MK2 project.